On the weekend we went on a road trip to Toowoomba to visit Charles’ mum and dad. Today Evelyn, Charles’ mum and my mum-in law gave me a family heirloom. It was this beautiful baby blanket hand knitted by her mum (Addison’s Great Grandmother) that was used for Charles when he was a baby at his dedication ceremony. This is a very special blanket that I will treasure and when the day comes I will pass it on to Addi for his baby. 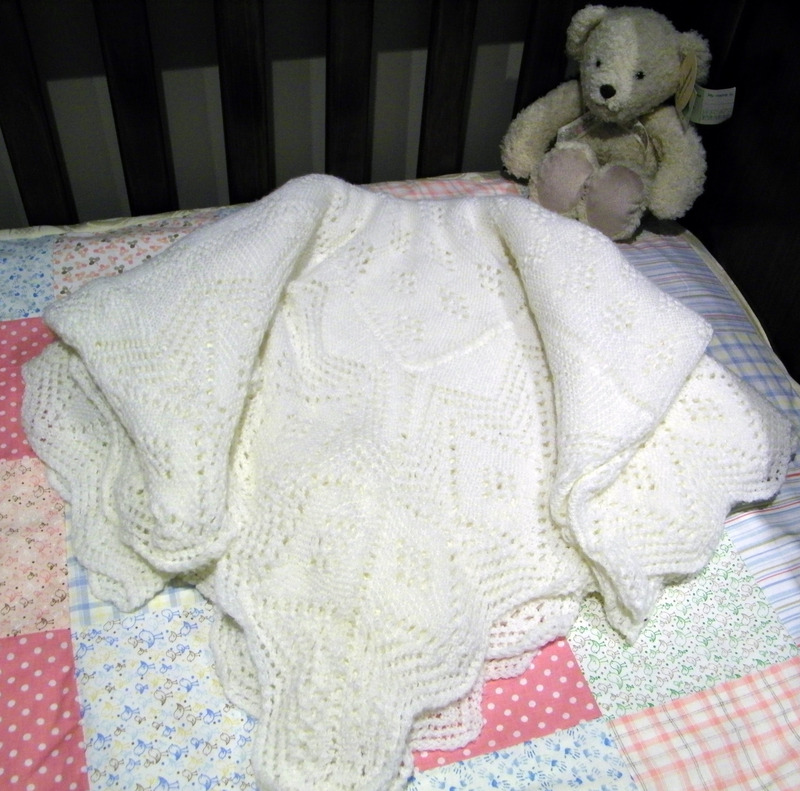 My mum also has a hand knitted blanket for me to use to bring Addison home from the hospital in. It was hand knitted by her Grandmother, so my Great Grandmother and Addison’s Great Great Grandmother! Two beautiful pieces of family history that mean the world to me.